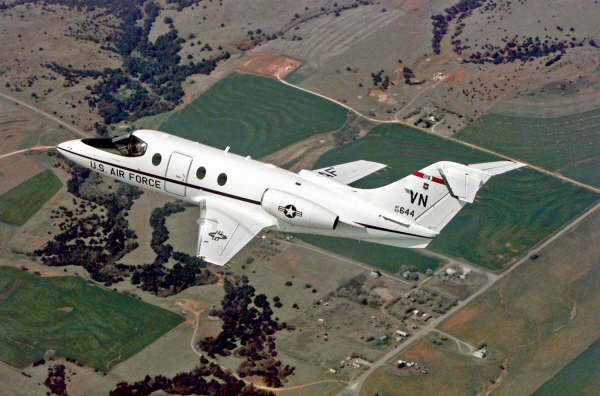 The T-1A Jayhawk is a training aircraft of the United States Air Force (USAF) and is developed by the American company Raytheon. It's the military version of the Beech 400A. The T-1 Jayhawk is used to train pilots to fly on large cargo aircraft en tanker aircraft. The USAF has 179 of these aircraft.